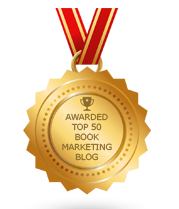 BookMarketingBuzzBlog: How Many Bookstores Do We Need? Even though at least 30% of all book sales come from e-books and millions of digital books are read every single day in America, we still need bookstores. Not only do they help complete a simple transaction of a consumer buying a book, they help promote the world of books and give sustenance to the reading process. Bookstores nurture readers and help create a better world by selling more books – and by fitting the right book to each person that wanders in. So how many bookstores do we need? One part of me says you can never have enough bookstores and books should be sold everywhere, not just at a formal bookstore. But realistically, we can’t flood the country with bookstores unless these stores can support themselves. There are many, many holes in the United States landscape, where one would travel 30 minutes or more and still not hit a bookstore. But they can always find a place to sell them a gun nearby, or junk food, or a lottery ticket. Comedian, Jerry Seinfeld said: “A bookstore is one of the only pieces of evidence we have that people are still thinking.” He’s right – and we need more friendly confines to help thinkers feel embraced. A town isn’t complete without a bookstore. Just as a town has a local government with police and fire departments, and likely a post office, school, place of worship, and some food joints, it should have a place where people can come discover, buy, and read books. The really good bookstore helps serve the community and becomes a place of community. It makes available a wide array of books and doesn’t merely offer what’s popular, classic, or commercially viable. It has an educated and inspiring staff that helps find books for customers whether or not a specific book was requested. Bookstores not only satisfy our perceived needs; they help fill a desire that they create. For those who don’t know what to read, and for those open to discovery, the bookstore is their salvation. Once in the store they feel a sense of belonging and even optimism in knowing the stacked shelves of books surrounding them can offer some amazing ideas, facts, or fantasies of how one could live his life. The bookstore opens our eyes, minds and souls to so many possibilities. This is not an argument of digital vs. paper, online vs. brick and mortar. No, it’s about how bookstores are unique places that truly change lives. The Internet or e-books won’t disappear, but we can’t let bookstores remain in the background. We need more of them to exist. Our lives and society depend on them more than we realize.